Tracey Barnett graduated from State University of New York at Plattsburgh with a BS in nursing. She attended Lienhard School of Nursing at Pace University where she received her MS as a clinical nurse specialist. Through the same institution, she continued her education and was awarded her certificate of advanced graduate studies in family primary care. She is certified by American Nurses Credentialing Center. She served as a family nurse practitioner in the department of pediatric neurology and infectious disease at Bronx Lebanon Hospital and in pediatric consultation services at Jacobi Medical Center. She is presently Director of Health Services for Rye City School District. 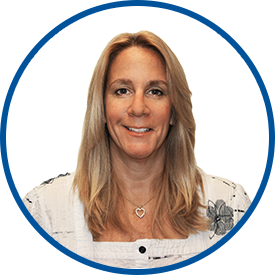 Ms. Barnett is working part – time with pediatrician Dr. Barbara Coven and sees Westmed Medical Group patients at 210 Westchester Avenue in White Plains and 1 Theall Road in Rye.